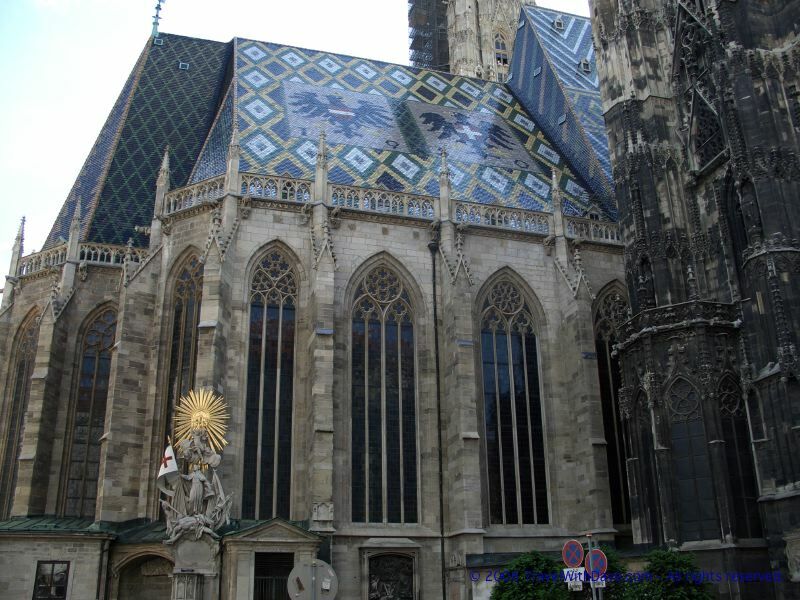 Stephansdom is at the heart of Vienna. Roughly a quarter of a million tiles cover its roof. The difference between the restored and unrestored portions of the cathedral is evident in this photo.